YES, this art tutorial shows that with just 3 colors — amazing combinations happen like magic! You can Create Modern Abstract Art for your Home! Getting set up to have some fun! First pouring the colors individually through the sink strainer starts the magic on its way. The colors start to mingle and then when we remove the strainer. 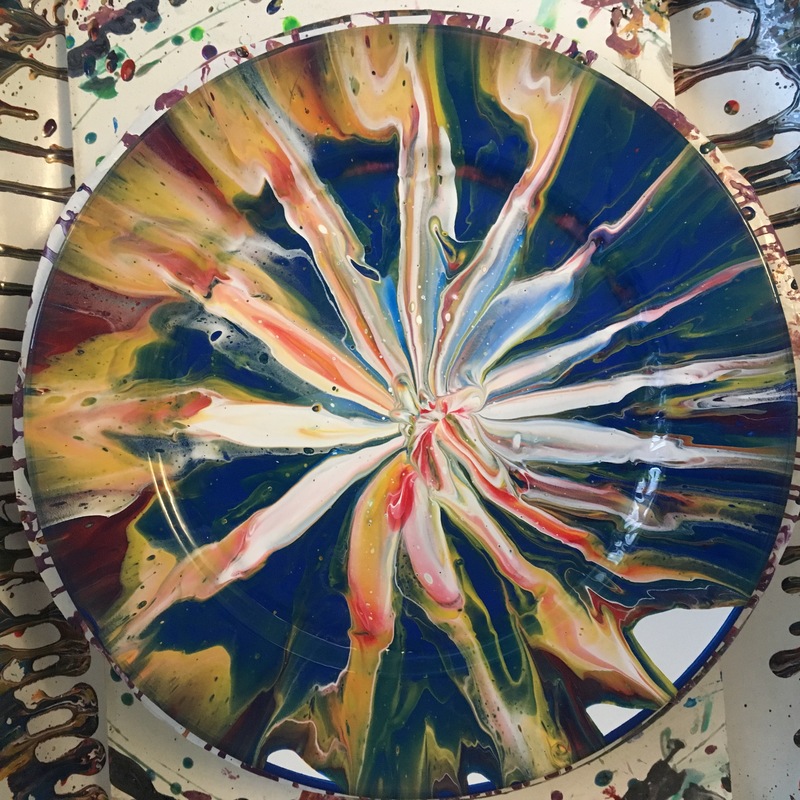 Second, When we spin the lazy susan, the force of spinning moves the paint from the center out to the edge. In that process it mingles the colors even more and stretches the center designs out and just creates a magical effect! I’m using Decoart Pouring Medium that dries to a soft almost satin finish when mixed with the Decoart Americana Acrylic Paints. I bought all the products in this project, even though I am now a member of the Decoart Helping Artists program. 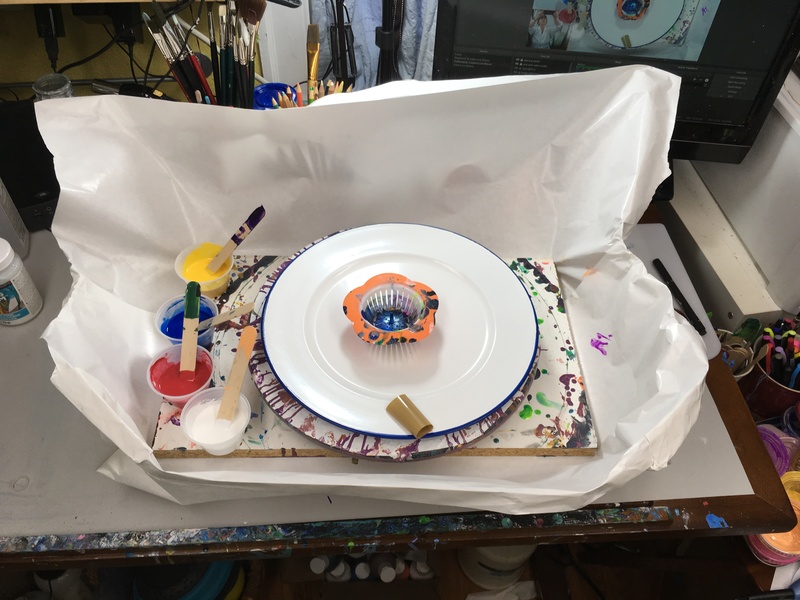 The Decoart Helping Artists program is a great opportunity for me to learn more and to share tips tricks and information as I explore their products and share what I find out. Enameled Metal Charger Plate:- I picked it up at a craft store sale. You can find things like this at thrift stores, flea markets and jumble sales. Just keep your eyes open!